Limited double vinyl LP pressing including digital download. 2016 release. A Moon Shaped Pool is the ninth studio album from the British alt-rock band. 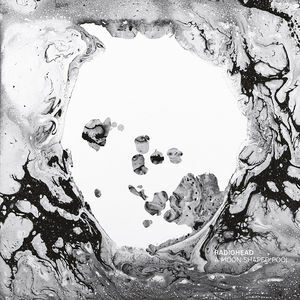 The album features the key tracks “Burn The Witch,” “Daydreaming” and “True Love Waits.” Radiohead worked on A Moon Shaped Pool intermittently after finishing the 2012 tour for their previous album, The King of Limbs (2011). 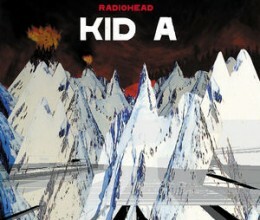 The album was recorded in southern France with long-time producer Nigel Godrich. It includes several songs written and performed some years earlier; “True Love Waits” dates to at least 1995, “Burn the Witch” to 2000, and “Present Tense” to 2008. 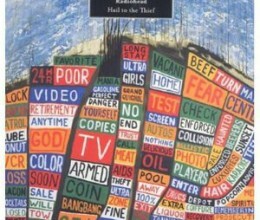 The album features strings and choral vocals arranged by multi-instrumentalist Jonny Greenwood and performed by the London Contemporary Orchestra.